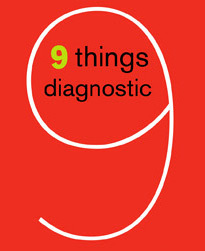 The 9 Things Diagnostic is designed to accompany Nine Things Successful People Do Differently, the bestselling e-book published by Harvard Business Review Press. The purpose of the Nine Things Diagnostic is to give you a better sense of how much you've used each strategy in the past when trying to reach your goals, and which areas you may want to pay particular attention to. Please think about each question and answer honestly, so that you can get the clearest possible picture of where your strengths and weaknesses may lie, and how you can become more successful in the future. When you have answered the questions for all Nine Things, you can click on Diagnostic Results for a summary that you can print for future reference. I know that I want to be successful, but I haven't completely figured out what that success will look like. I have a clear sense of direction. I have a very concrete picture of success, and I spell out what I want in detail. Sometimes I feel like I only have a vague sense of what I want. I will know the moment I have reached my most important goals. On a scale of 1-10, How successful do you feel you are today when it comes to reaching your goals?